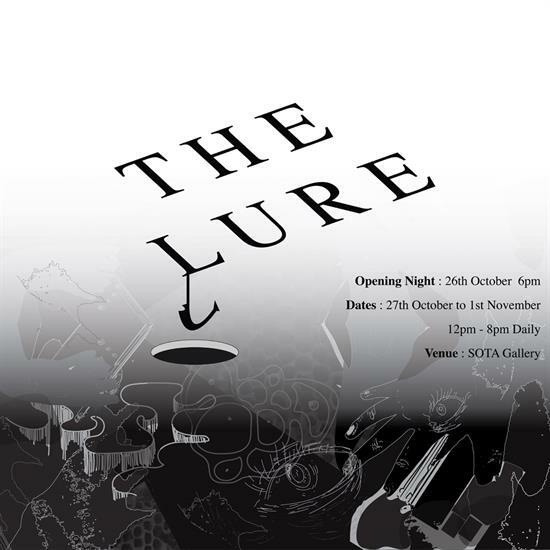 The Lure explores the notion of fear, an unpleasant emotion caused by the threat of perceived danger, pain, or harm. An intimate, yet universal feeling, fear plays on the imaginary and resonates in the body as physical sensations of discomfort and unease. From the personal to the collective, from the subconscious to the decidedly abject, this exhibition seeks to present fear in its many forms and expressions, prompting viewers to reflect on their own experiences and perceptions. The exhibition title then alludes to a curious invitation, a dare perhaps, for the viewer to step into the unknown and to act on this morbid curiosity by confronting fear itself. While some artworks on display flirt with this conflicting tension of attraction and repulsion towards the object of fear, others look for closure and resolution by navigating difficult psycho-emotional terrains. Through these varied responses, the exhibition hopes to initiate conversations and find new ways in sharing personal traumas and phobias.